Petal (7%) is an almost perfectly made IPA. Brewed with Citra, Columbus and Ekuanot it reminds me of the joy I felt the first time I tried Magic Rock’s Human Cannonball. It’s a sherbet fizz driven fun machine. Lashings of lemon bonbons and flying saucer sweeties, fizzy pop, penny sweets on the shape of shrimps and a sharp hit of pithy bitter herbal leaves are underpinned by a soft and supple, chewy caramel and brioche malt body. And even though the beer pours cloudy, as seems to be the way for IPA’s these days, it feels crisp and clean and super sharp in the finish. 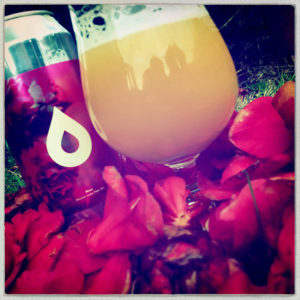 Rosa (8.%) is a Double IPA brewed with Citra, Ekuanot, Simcoe and Vic Secret. It’s another of LOKA’s soupy beers, pouring thick and cloudy with a fresh pineapple and mango aroma and a little lace doily for a head. 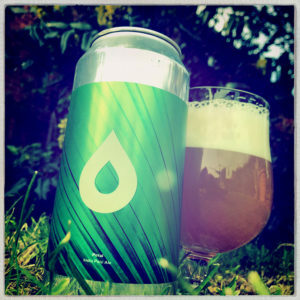 The malting is sweet caramel and waffles, vanilla ice cream and honey and the yeast adds it’s stone fruit and earthy damp fungal sweetness to create a great big chewy body over which the hops bring rolling tobacco and lemon sherbet, lime leaves, avocado, melon and steely herbal leaves. And with the bolshy push of warm botanical gin alcohol, the beer finishes in the most satisfyingly boozy way. Cassie (10.4%), LOKA’s Espresso Stout is, to put it simply, sublime. It’s thick and chewy and sumptuous, pouring an impenetrable only black with a little cappuccino head and a smell heavy with freshly brewed coffee and Demerara sugar. The malting is deep and round, treacle tart, molasses, bread pudding and rum and raisin chocolate, and the hops bring a crisp and crunchy dry autumnal leaf litter hit of hazel leaves, nettle tea and orange marmalade. And then, in the finish, there’s a wash of woody, cherry stone black coffee and a deep brandy alcohol haze that makes for a very rewarding, if slightly drunken, finish. It’s a beer of hidden depths that needs time spending on it in order to discover all it has to offer. 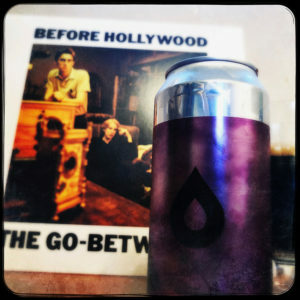 I drank it listening to one of my favourite Go-Betweens albums, a record that has so many hidden depths that I’ve been discovering something new in it for the last thirty five years or so. 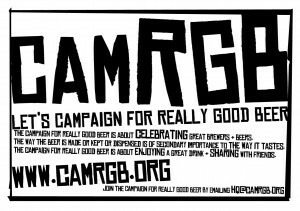 This entry was posted in Beer Review, CAMRGB and tagged 7.5% +, Beer, Beer Review, CAMRGB, Can, Canned beer, Coffee, DIPA, Double IPA, Drinking, IPA, Spiced Beer, Stout. Bookmark the permalink.